Streamlined document workflow and secure electronic health records allow more focus on your patients. Managing healthcare information and offices is hard – patients need to be kept happy, patient information has to comply with regulations such as HIPAA, and there's regular business information like invoices that need to be processed. This paperwork can be tedious and time-consuming to manage as documents are routed between insurance companies, patients, doctors, and practices and hospitals so that patients receive the proper care and that care is billed correctly. Use your digital copier to launch secure business processes. Discover the advantages an electronic health record system can deliver – secure storage and fast retrieval of patient records. Stop unauthorized access to patient records using the security features on your digital copiers. Use electronic medical forms and workflows to eliminate manual paper processing. No more wasteful printing – track print, scan, and fax activities on your printers and digital copiers to track and manage document output costs. Securely share patient information for better care. 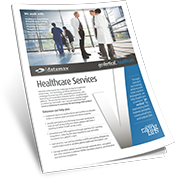 Healthcare companies go Vertical® with Datamax Arkansas and achieve efficiency, security, and a fatter bottom line. 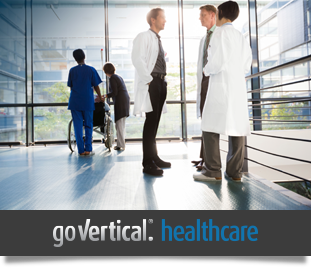 Get healthy with streamlined invoicing, electronic health records, and smart document output. Let's talk. “In a world full of deadlines and day-to-day business needs, I wanted to take a moment to acknowledge my appreciation to those who help it making it easier. Over the years in working with you, I have purchased office equipment that we rely on to perform at a level of perfection. In times when service is needed, a tech is dispatched promptly. Your supply department is always professional and helpful and I receive my supplies next day most of the time. Several times a year, Josh (our Sales Representative) contacts me to see if everything is going okay and to see if we have any upcoming needs that Datamax may be able to help with. When I need a quote on office equipment, Josh prepares and has it to me quickly and addresses questions or concerns from our Corporate Office.